A brilliant idea for that friend or loved one who you know will love a kitesurfing or stand up paddle boarding (SUP) lesson. Option to send directly to recipient’s email address along with a personalised message available at checkout. When you purchase a gift voucher you will have the choice of either a) have the voucher emailed to you to forward to the final recipient or b) have the voucher emailed directly to the recipient including a custom message from you. All vouchers are electronic and clicking on the voucher inside the email will apply the discount in our online store. 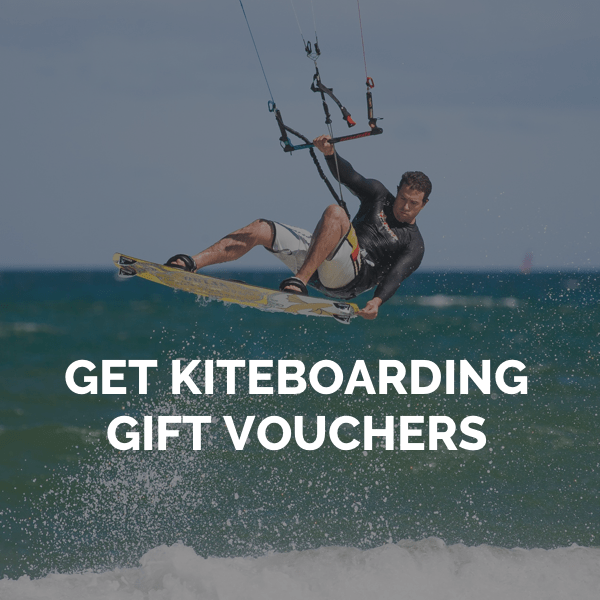 Please note that gift vouchers are not valid for equipment purchase (as this is done directly through our retail partner “Bracklesham Board Riders”) nor is it valid for any of the holidays we organise (as these are also organised directly with our partner tour operator: Windseeker Holidays). Gift vouchers cannot be exchanged or refunded. Gift voucher balances are non-refundable.